The business of medicine is growing more complicated daily as insurance reimbursement rates decline, operating costs go up, and administrative challenges increase. If you are finding it increasingly difficult to manage the business of your practice, let Rocky Mountain Health Network (RMHN) be the solution. RMHN helps clients achieve their business objectives. We have extensive industry experience with physician office billing and collection functions and we believe that working collaboratively with our clients produces great outcomes for everyone. We are passionate about what we do and that translates into better business for your practice. 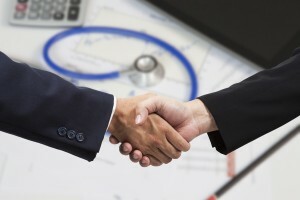 Establishing relationships with payers requires a mountain of paperwork. Tracking down all the information you need takes time. Filing the correct information with the correct payer can also be extremely time consuming. Working with payers is what we do best. Your membership in RMHN starts with your completion of a single application that we shuttle through the credentialing process for as many payers as you select. RMHN continuously monitors your status and ensures current and accurate information for all your payer networks.In addition to the initial credentialing, RMHN monitors all re-credentialing criteria for all payers and works with you to ensure uninterrupted participation in your selected payer networks. Living in a state as large and as sparsely populated as Montana can be a challenge when needing access to specialty healthcare. RMHN believes that everyone should be able to get healthcare as close to home as possible. That is why RMHN has a travel reimbursement benefit to offset some of the costs incurred by providers when traveling to and from a rural community to provide care closer to home. RMHN provides educational offerings to provider members and staff. RMHN sponsor’s quarterly “Lunch & Learn” sessions with payers and other healthcare experts. These sessions give everyone an opportunity for ongoing, open communication. In addition to regularly scheduled “Lunch & Learns”, RMHN provides relevant educational offerings to its membership. Topics encompass local, regional and national topics as well as focused education for upcoming initiatives. Medical staff credentialing is one of the most important tasks a facility and its board undertake to ensure the quality of care in the organization. The overall goal of credentialing is to ensure that only qualified providers are practicing at the facility and that they are practicing within their scope of experience and competence.Rocky Mountain Health Network, Inc. can provide medical staff credentialing to its members. The depth of our experience includes NCQA, CMS and Joint Commission standards. The set up fee associated with this service is waived for members. For more information, click here. Healthcare is very complex and running a medical practice is too. If you are looking for ways to improve your billing, coding and collection functions, look no further than RMHN. There are many great reasons you may be considering outsourcing your billing and collection services. Are you looking for more expertise? Do you need to improve your collection rates? Do you need to reduce the number of rejected claims or denials? RMHN can be your trusted partner, giving you and your office more time to spend with patients. Here are the most common services RMHN can provide to you and your practice. Your practice's financial viability is directly related to its cash flow. The best strategy for keeping the revenue stream steady is timely billing and accurate claims submission. RMHN has billing and coding experts in most specialty fields. We can take this functions off your shoulders, allowing you to focus on what you do best — providing quality care to your patients. When you use our billing services, you retain complete visibility of all your claims and their status, without actually having to manage them. If you have your own practice management software, our billing department interfaces directly with your software. We can also offer you one of our many software options. When your office registers a patient, your staff member simply enters patient and payer information, then posts charges with the appropriate CPT and ICD-9 codes. And that's it! We take it from there, collecting your data securely over the Internet and submitting it within 24 hours. Experience. Our experienced staff is familiar with the plans your patients use. We have specialized representatives trained with payers such as Medicare, Medicaid, and Worker’s Compensation. Accuracy. Our practice management system scrubs each claim for errors before submission. This eliminates delays that could result from denied claims. Follow-up. We monitor each claim from the time it's filed until payment is posted. Patient support. We'll handle your patients' questions about their bills. Paperless data storage. All records, reports and correspondence can be scanned and stored digitally. Our interactive voice response (IVR) technology allows patients to access their accounts by phone, 24 hours per day, seven days a week. Patients can: check a balance, make payment arrangements and pay bills via credit card or checking account. With our collection services, we operate as an extension of your business office. If you want to continue generating your own billing statements, RMHN can still manage collections for you. Collection can take place as a separate service or used in conjunction with billing. As our client, you select the option to best suit your practice needs. Now that ICD-10 is a reality, the world of medical coding requires even more expertise. RMHN has certified coders on staff to assist your practice with education, coding audits and ongoing coding services. Medical coding is a critical component of your revenue stream. Let the experts help you. RMHN can pick up and scan your documents, delivering them to you on a CD or making them available via a secure website. Your staff can scan documents and the scanned data will be stored on our shared server, where it's available at all times to you via a secure internet portal.